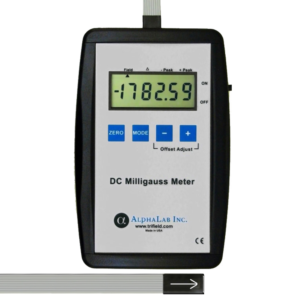 AC Milligauss Meter UHS2 - AlphaLab, Inc. 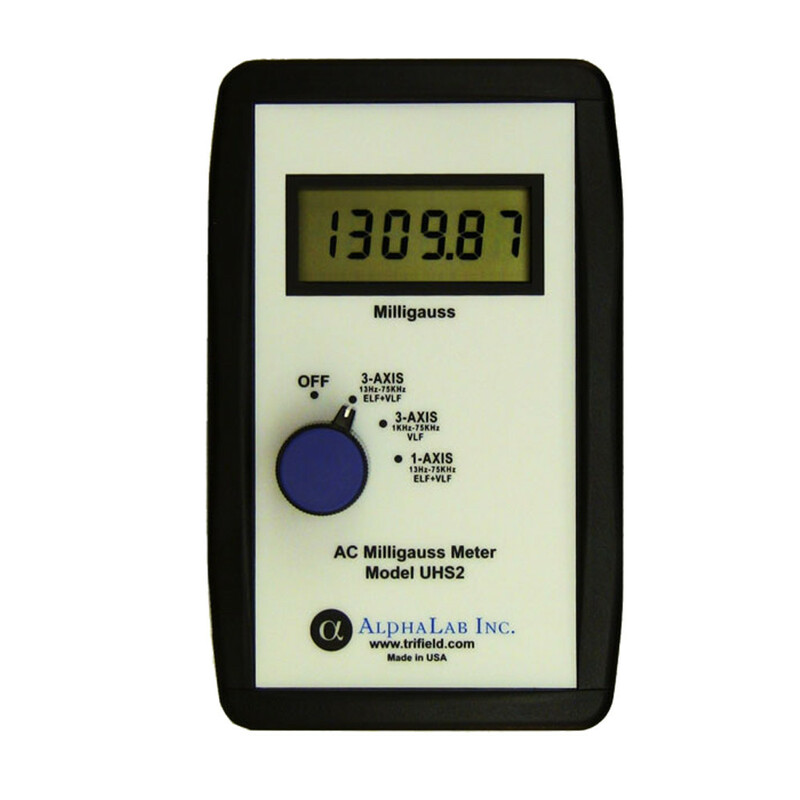 The AC Milligauss Meter Model UHS2 measures AC magnetic field in a wide frequency range of 13 Hz to 75 kHz (75,000 Hz). The frequencies include most ELF (that is, frequencies below 1 kHz) and VLF (above 1 kHz) magnetic fields. The meter measures the true 3-axis magnitude of the AC field. Two other more specialized measurements can also be performed: 3-axis VLF-only (1kHz – 75 kHz) to measure the strength of higher-frequency fields, and 1-axis full bandwidth (13 Hz – 75 kHz) to determine the principal direction of the AC magnetic field. 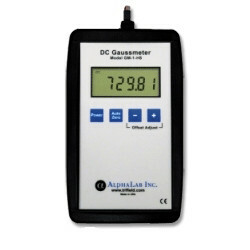 Most measurements will be performed with the knob turned to 3-Axis ELF+VLF. 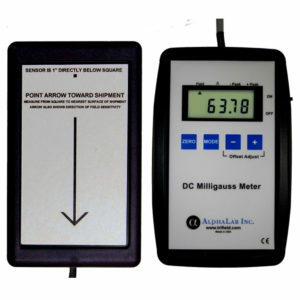 This setting is for measurement of true magnitude of magnetic field at the widest range of frequencies (ELF + VLF).